The Real Voices – Real Choices Conference is an exciting opportunity for individuals and families living with mental illness, developmental disabilities, and in recovery for substance use disorders. It is a gathering of consumers, family members, friends, self-advocates and persons in recovery who come together to learn about programs, service issues, opportunities and self advocacy. It’s about fostering growth and empowerment, as well as finding the tools to be successful in the community. Annually, hundreds of individuals gather for this very empowering conference. Additional information and Frequently Asked Questions (FAQs) about the Real Voices – Real Choices Conference can be found by clicking HERE. Applications for Scholarships for participant registration will be accepted March 11, 2019 thru April 30, 2019. NO LATE APPLICATIONS WILL BE ACCEPTED. Scholarship registrations includes all conference materials and activities, hotel room for August 25th and 26th at Tan-Tar-A Resort and Conference Center and four meals. Travel expenses are not included. All other meals and expenses are the responsibility of the scholarship recipient. The Real Voices Real Choices Conference has sponsorship opportunities available! The Real Voices Real Choices Conference is an annual, state wide conference designed to inform, educate and empower individuals who receive services through the vast array of providers supported by the Missouri Department of Mental Health. Attendance at this conference is approximately 1,000 individuals. This coming year’s Real Voices Real Choices Conference will be held August 25th-27th, 2019 at the Tan-Tar-A Resort in Osage Beach, Missouri. 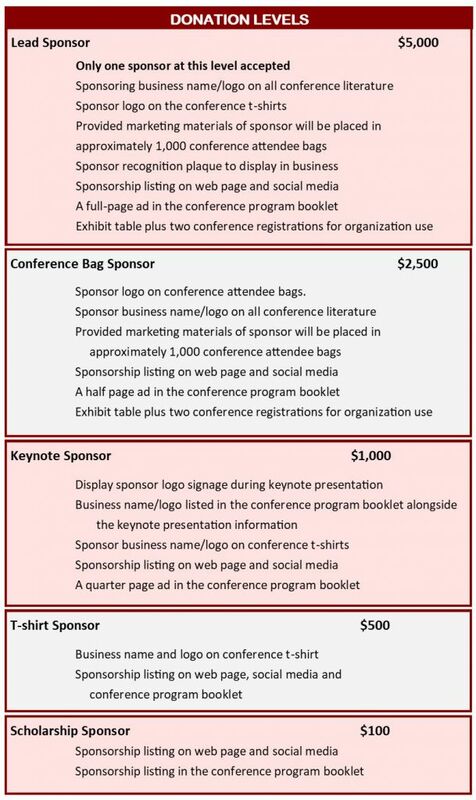 There are five different sponsorship levels available; each with various benefits. We can also customize a benefit package for you if you have specific needs for your sponsorship dollars. Commitment to being a sponsor is required by April 1, 2019. This deadline is for your commitment only, payment for sponsorship is required by July 30, 2019. Applications to Present for the 2019 Real Voices-Real Choices Conference are now closed. The Conference Committee will review all applications at the March planning meeting. If your presentation is chosen, you will be notified by April 26th and asked to submit a PowerPoint or outline by May 1st. The committee will then review your Powerpoint at the May meeting and make a final determination on whether you will be asked to present at the conference. The Conference Planning Committee is accepting workshop presentation applications for the Real Voices Real Choices Conference. Self-advocates, persons in recovery, family members, and mental health professionals (who have lived experience) are encouraged to submit an application. The planning committee would like to have exciting, inspiring and interactive presentations that will empower attendees to take action that will improve their lives. Each year the committee receives a variety of topics and presentations. This year, the committee would especially like to see dynamic presentations that allow the attendees to participate. Please note: Like last year, the conference will have specific tracks that include Substance Use Disorder, Mental Illness, Developmental Disability, Family and Youth, or other. You will be able to indicate which track your presentation belongs in on the application below. If you are unable to pick one, please explain your choice and the committee will assist. Peer panel with FSP, CPS, etc. Communication between school, hospitals, CMHCS, etc. When thinking about a title, consider a “catchy” title that will draw people to your workshop; however, please make sure the title of the presentation matches the content. When developing a workshop application, consider what conference attendees will want to learn. Is it a new idea or a different way of presenting information on a previous topic? What will make your presentation stand out from others going on at the same time? Will your presentation be helpful to others and will they be able to take valuable information home to share with others? Will your information be easy to understand? If you are a professional, the Committee values the collaboration and involvement of self-advocates, persons in recovery and family members in each workshop presentation. All presenters will be asked to prepare and submit a Powerpoint presentation OR a presentation outline. Power points are NOT REQUIRED. If handouts are needed for the workshop, presenters must supply all handouts or special supplies in order for the audience to participate in the session. The description of the presenter and presentation on this form are used in the program booklet, so please make sure they are accurate and include all of your presenters if you have more than one. The Planning Committee reserves the right to make suggestions for final approval. Individuals wanting to submit an application must complete the enclosed form by the end of day on March 5, 2019. We ask that all mailed applications be typed. More information coming Summer 2019!